Professional and quasi-professional leagues and teams originated in the 19th century. 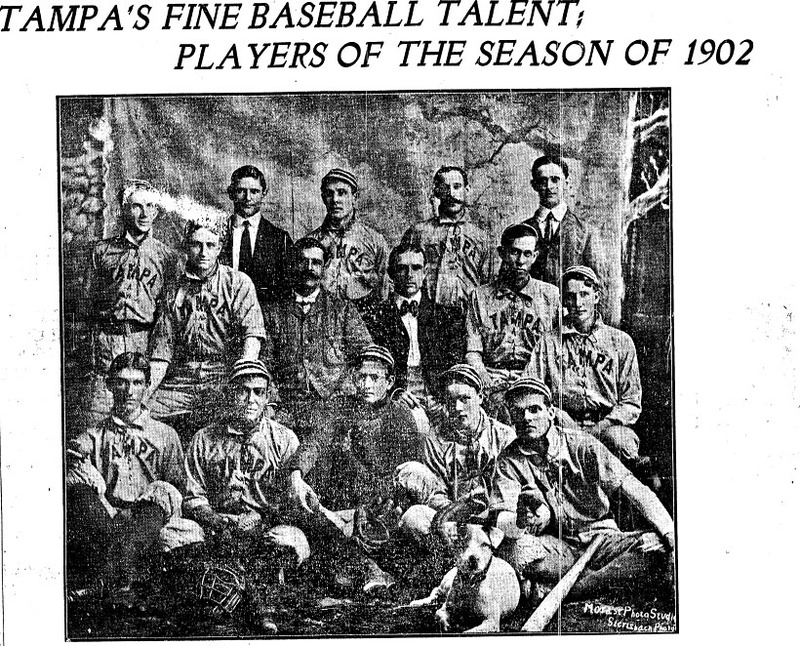 Early teams, such as the Tampa Greys, represented the entire city. With the completion of the Fortune Street Bridge in February 1893, local organizers began on using neighborhood teams for inter-city baseball leagues. This bridge and the establishment of the trolley streetcar system linked Ybor City with West Tampa. Because the streetcars allowed for greater travel, teams could play in either centralized locations or in different neighborhoods. Prior to the bridge, it was difficult for people of Ybor City and West Tampa to converge at Plant Field to watch baseball games. 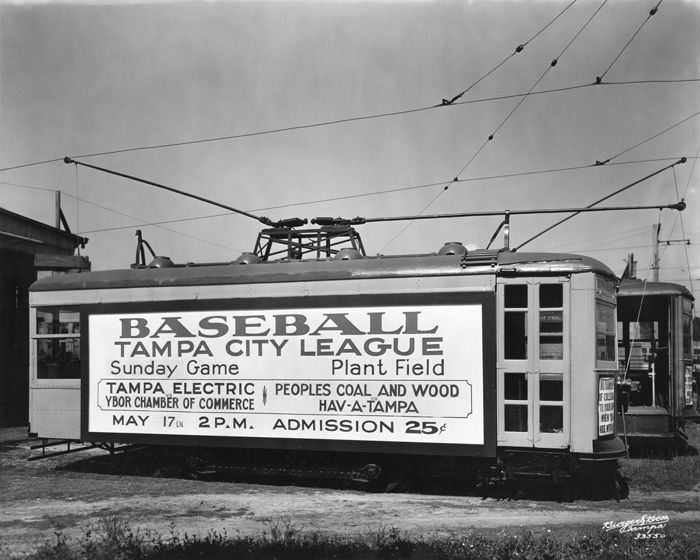 By 1913, with the establishment of the Cigar City League (CCL), the trolley car became an instrumental tool in the popularity and mobility of baseball. Established by Hugh Macfarlane, Cuesta Rey, and other civic leaders, the CCL was established in 1913. 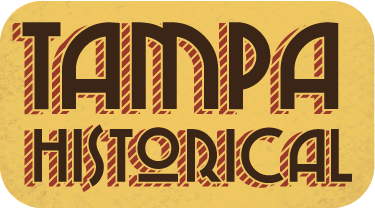 Seven teams participated in this league: Cuesta-Rey, Sanchez and Haya, Knight and Wall, and the Tampa-Cuba Cigar Co represented the cigar industry while other teams represented Tampa’s transportation companies, Tampa Gas, and the Police Department. This changed in the summer of 1914 as civic leaders decided to revert to teams that identified with neighborhoods. 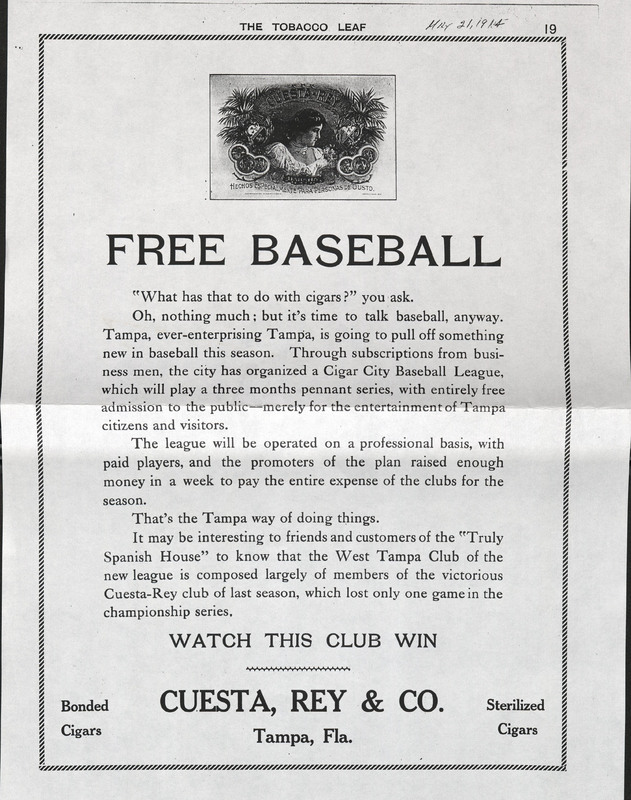 Moreover, for the 1914 and 1915 seasons, admission to the ballgames was free. 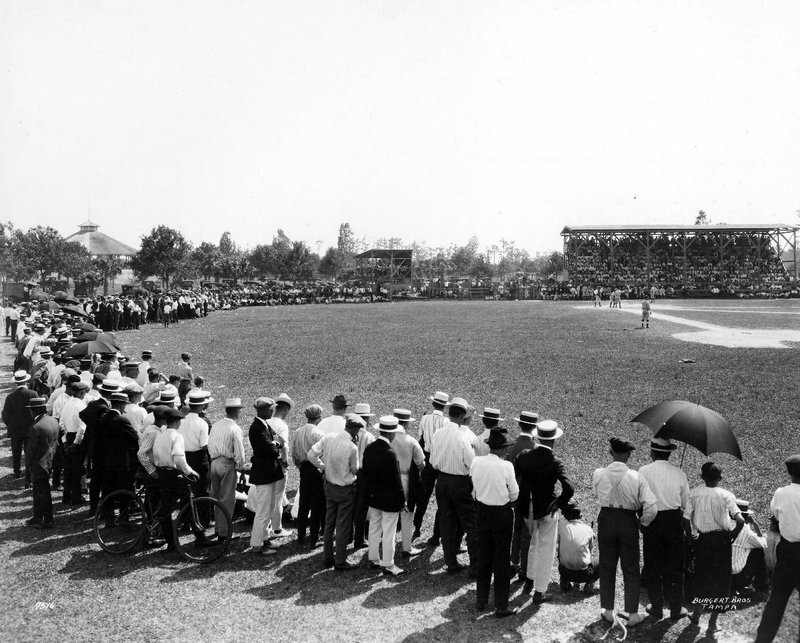 The summer of 1915 saw one of the most competitive pennant races in the history of the city. Only two teams remained in the CCL: Ybor City Redtoppers and West Tampa Mackmen. Over the summer, the two teams played thirty times at Plant Field and both teams had each had won 15 games. The league overseers declared that a three-game-playoff would be played to determine that summer’s pennant winner. The first game of the series was held on October 18, 1915. The Redtoppers won the first game 3-0 behind the pitching of Ronald Barze, the Kissimmee Cowboy, who struck out twelve of West Tampa’s batters. 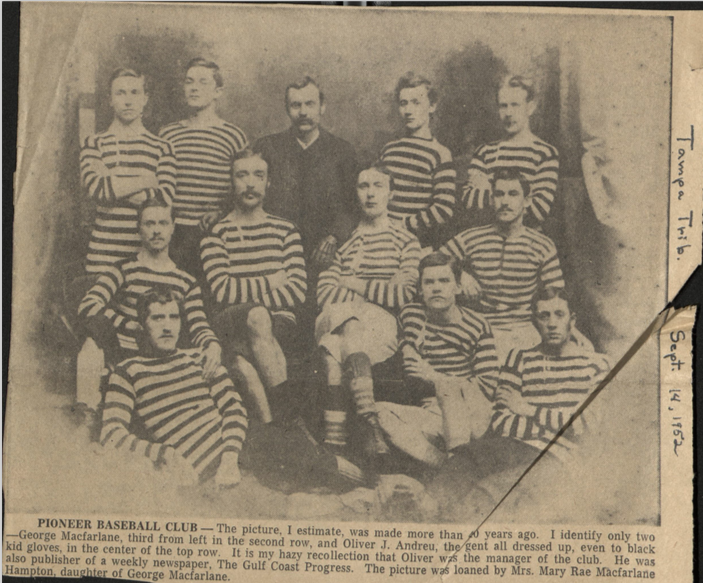 Three days later, the Mackmen defeated Ybor City by the same score, 3-0, to tie the standings once again. The West Tampa pitcher, “The Dade City Cracker” Bryant Bowden, allowed only two hits while scoring the winning run that forced a third and deciding game. The final game of the series was held at Plant Field on Monday, October 25th. On the morning of the game, the local newspaper noted that “hundreds are expected to lay aside business cares and see the championship battle.” Bowden again pitched for the Mackmen; however, the Redtoppers turned to the services of a high school pitcher. The game began at 8:15 p.m., about one hour after sunset. 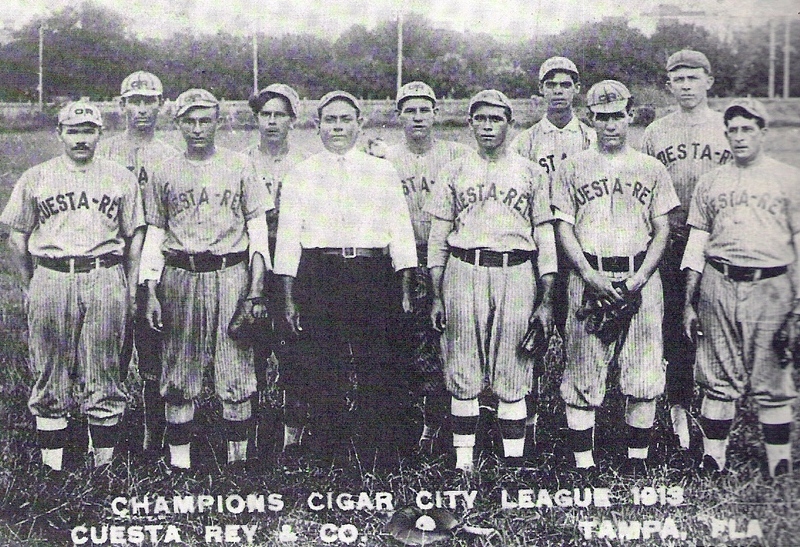 Organizers decided to start the game later in the day so that cigar factory workers could watch the championship game. Ybor City jumped out to an early lead by scoring a run in the bottom of the first inning. The score stood until the top of the fourth when West Tampa scored four unearned runs. The Mackmen added four more runs, all scored due to Ybor City’s sloppy defensive play. The Redtoppers attempted to rally in the bottom of the ninth. Yet, because of the time of day at which the game was played, darkness totally fell over the stadium making it difficult to see the ball. The West Tampa Mackmen held on and won the City Pennant. Boxscore from the 1915 Championship Game. Paul Dunder, “Cigar City League,” Tampa Historical, accessed April 20, 2019, http://tampahistorical.org/items/show/17.